Forget about the plain incense stick holder and let all your senses enjoy a whole new experience to burn incense. 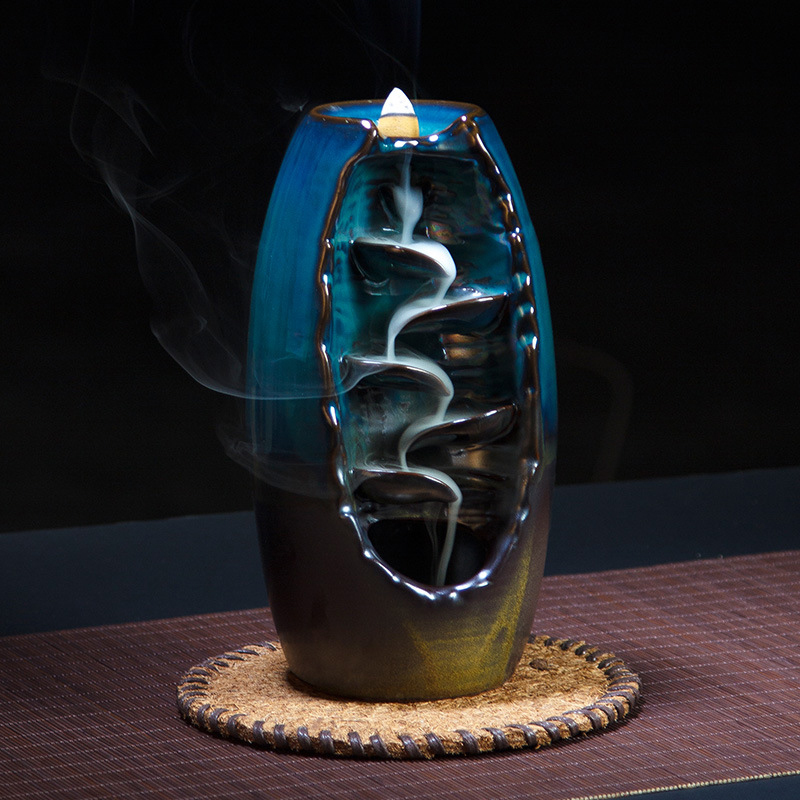 This stunning ceramic backflow incense burner is handcrafted. When you first light the cone it can take a little while to get going, but once it does it's so impressive! The way the smoke flows is actually quite mesmerizing, and everyone who’ll see it will say the same. Our incense burner handles cones and sticks equally well. Beautifully sculpted, backflow incense burner is a stunning piece of art. Limited quantities available at this price! Buy today while supplies last!